made with mohanlal premium reeds. lacquer finish polish. with seasoned indian rosewood. Reeds: -The reeds a series of brass reeds set into a heavier brass base. There are a series of brass reeds covering these holes. If there are two banks of reeds, it is said to be a double-reed harmonium. 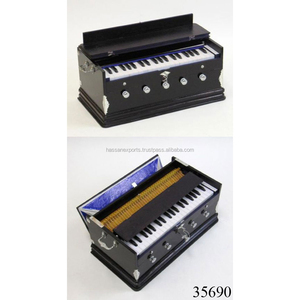 Alibaba.com offers 285 harmonium manufacturers products. About 53% of these are other musical instruments & accessories, 3% are diaper bags, and 1% are training & jogging wear. 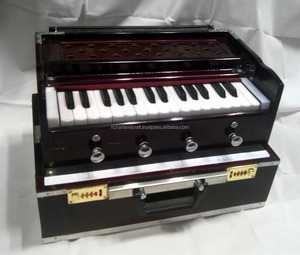 A wide variety of harmonium manufacturers options are available to you, such as free samples. There are 128 harmonium manufacturers suppliers, mainly located in Asia. The top supplying countries are India, China (Mainland), and Nepal, which supply 53%, 44%, and 1% of harmonium manufacturers respectively. Harmonium manufacturers products are most popular in North America, South America, and Eastern Europe.